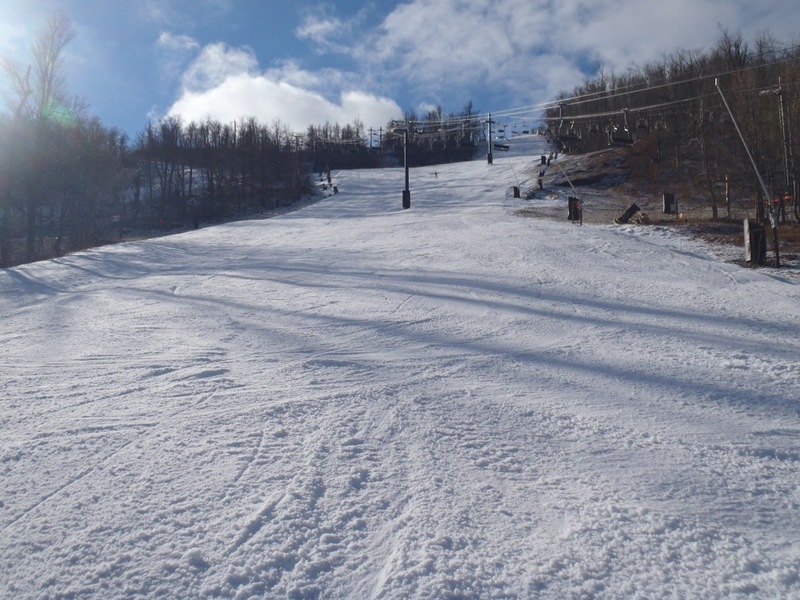 The true test for an eastern ski resort is always the early season warm spell or r**n event. 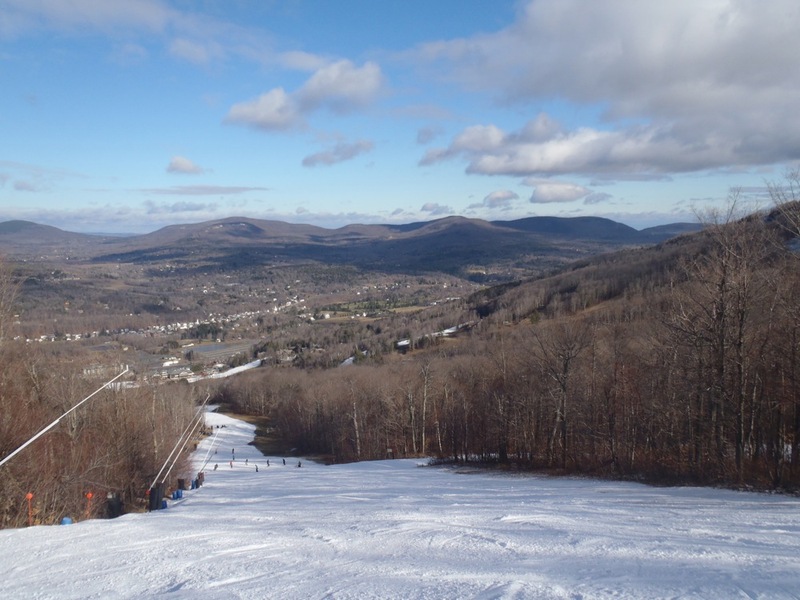 The Catskills’ major ski areas have only been able to open a few runs this season and this most recent system that dropped snow on northernmost New England primarily produced the wet stuff farther south. Nevertheless, I packed my bags and headed for Windham NY at 6:30 this morning. The mountain was reporting that the two top-to-bottom runs were still open, along with an additional connector at mid-mountain, along some beginner terrain near the base. Opening was delayed to allow extra time to finish grooming some previously ungroomed terrain. I was content waiting in an Adirondack chair in the sun, thankful for the change in plans. The mountain had solid coverage across both Upper Whistler and Upper Wolverine; the groomers did an excellent job in most places, leaving most coverage as loose granular. On the lift, I was told by an employee that in the offseason tower guns were moved further back to the sides of Upper Whistler and some replaced with better guns. Apparently this section of heavily trafficked trail was prone to wash out. Today it saw the best coverage on the mountain. Lower down the mountain, a few breaks in the base were clearly marked and easily avoidable. Surfaces were surprisingly carveable even after everything froze overnight. I’ve skied enough in the east to have experienced the classic rain/freeze and was really pretty content. Windham was able to turn things around as well as some of the bigger-name resorts I’ve skied. After sitting down to a classic bowl of chili for lunch, I headed back out and decided to ride the D-lift to check out the beginner terrain and watch a lesson in progress. With guns concentration on the upper mountain there were definitely some bare spots down low, but the snow that was there was soft. I also saw the man-made obstacles on Wilber that I hadn’t noticed on previous trips; certainly something to look forward to when winter arrives for real. My last few runs of the day were from the top; Warpath Chute to Upper and Lower Whistler. I stuck to the sides to stay in the softest remaining snow. 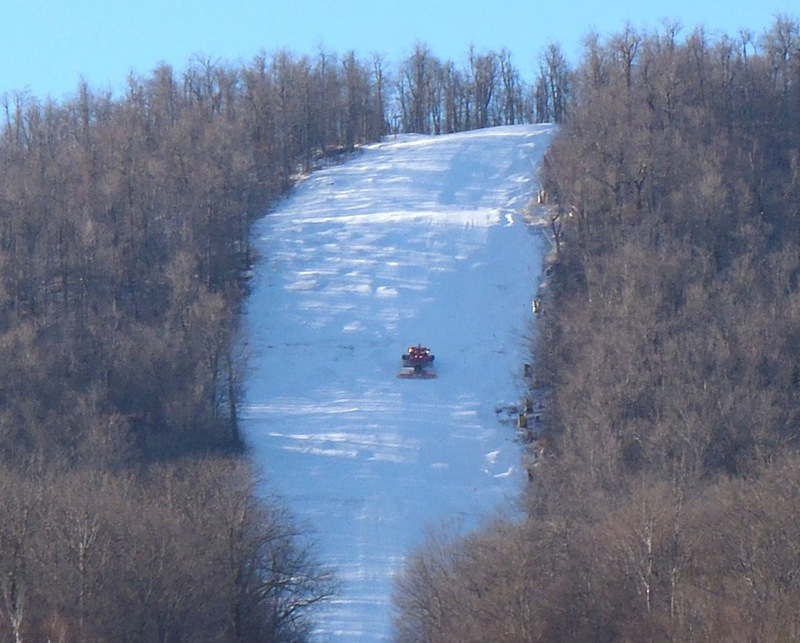 Windham was wasting no time getting back into shape and expand their terrain for the coming holiday week. As I made my last few runs around 2pm, guns had been turned on on Warpath where it seems they had already started piles. Throughout the course of the day it became clear that despite yet another the rough start to the season, Windham was working hard to stay ahead of the game. 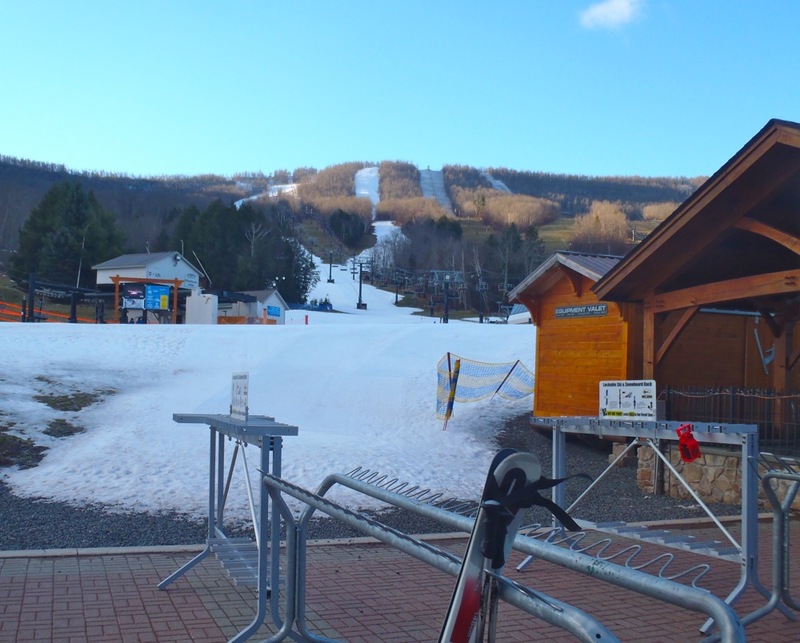 Every time I’ve visited Windham I’ve had some sign of a season to look forward to; it snowed all day last time on my latest early season visit and today they turned the guns as the sun went down on the most recent warm-spell. I’ll continue to look forward to going to Windham for that purpose: experiencing the joys of winter regardless of circumstance.